In addition, Palestinian Authority Arabs would not have the "right of return" to Israel. The Crown Prince also later said that Israel has a "right" to a homeland, before King Salman reaffirmed his support for the PA in a phone call with Trump. Trump recently declined to offer a timetable for announcing his proposed Middle East peace plan, saying only that "progress" had been made in tackling the complex issue. 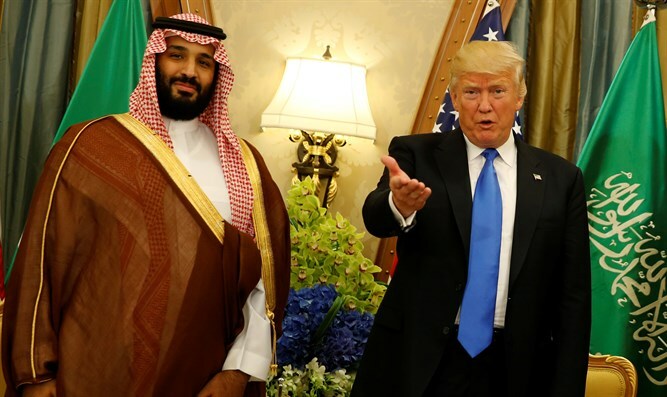 "A lot of progress has been made in the Middle East, a lot," he said in late June after a meeting at the White House with King Abdullah II of Jordan. The plan has been met with resistance from Abbas, who has refused to engage with the U.S. in protest over Trump’s recognition of Jerusalem of Israel’s capital and his relocating the U.S. embassy to the city.